Work has just finished on this new extension which is a simple compliment to an existing Victorian house. The Victorian interior has typically small, dark rooms with East/ West orientation. 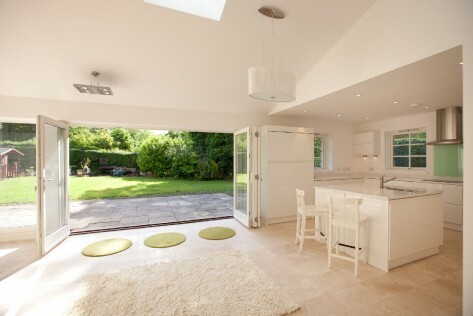 The extension is one large room which houses kitchen, living and dining spaces. The natural daylight is abundant and the connection to the garden optimizes the previously unused garden space. Instead of a Victorian house with small public rooms our clients now have a house which is more fit for modern day family life. The addition of the new room transforms the existing small, public rooms into very valuable secondary study and play spaces. Refer to our Projects Section for more photos.